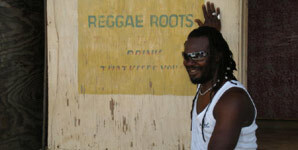 Levi Roots wants to keep the summer sounds flowing into Autumn, his new single 'So Out Of My Mind' is packed full of the sounds of a Caribbean summer, it's due for releases on 5th October 2009 through Sound Box Media. This is the first single from his new reggae album 'Red Hot'. In 2007 Levi recorded a track for producing duo Mafia & Fluxy, the producers decided to put the new track 'Red Hot' onto one of their compilations. Soon after it seemed Levi had caught the song writing bug once again, now with a full album ready to go it will finally get a release on October 19th 2009. Tickets are now on sale for Levi's album launch party at Bush Hall on 19th October 09. Buy tickets here.